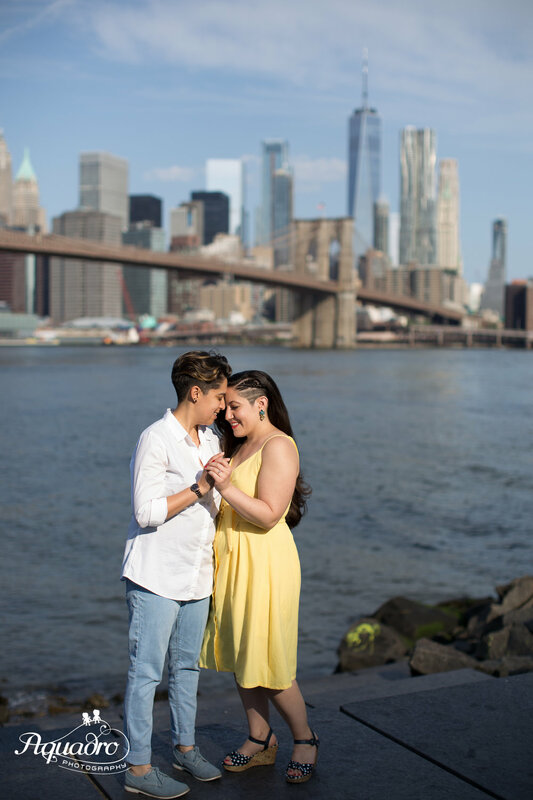 Rosa reached out to us to plan a DUMBO engagement shoot with her fiance, Jenna, during a quick trip back to their former home of Brooklyn. The couple was visiting from LA where they'd moved for Jenna's graduate school. 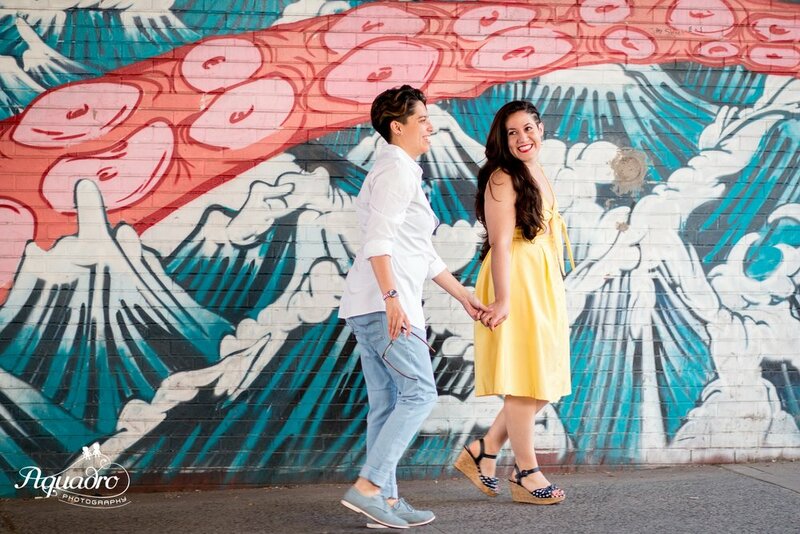 They might live in California now, but this awesome couple seemed right at home on the fun and quirky cobblestone-and-grafitti streets of DUMBO. 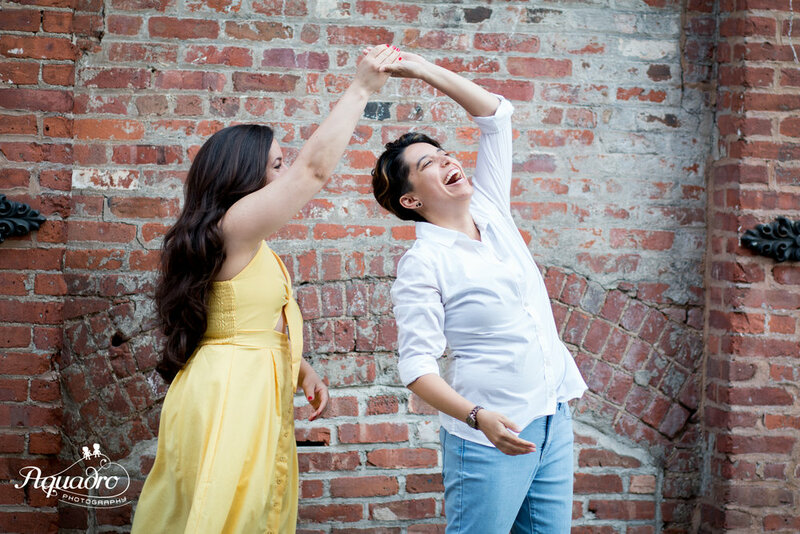 They've been together for five years, but it's clear they still have a whole lot of fun together. ...and a totally empty park. 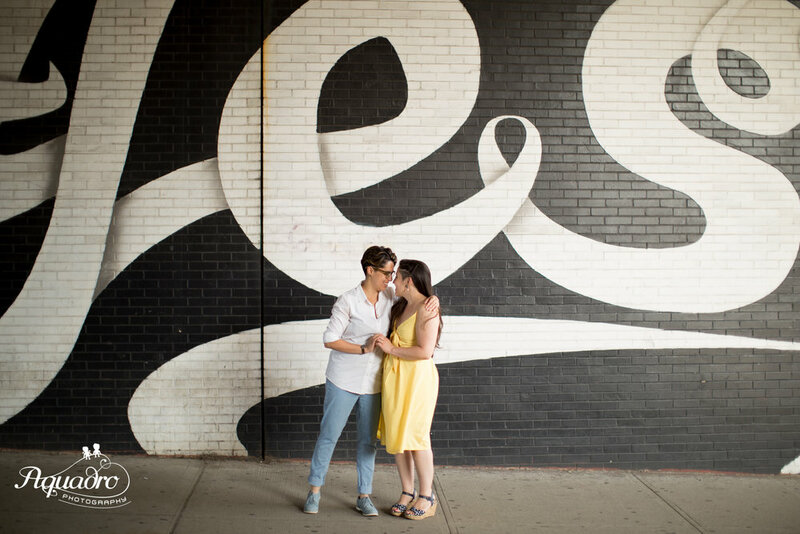 We're sure glad Jenna said yes and Rosa found us to capture this special time for them.